Proudly present the result from our previous Hpa-An Trip! 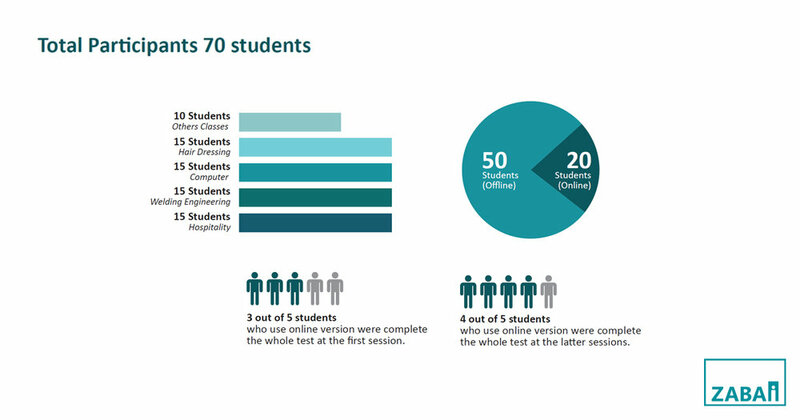 By using various electronic devices, the total of 70 students were able to join our LMS Beta testing, available in both online and offline versions. It is our primary number one goal to ensure the usability and accessibility of this pre-released life skill course before the mainstream rollout. Here comes the kicker. Most of the students have their own phones and even have assess to mobile data service which the students resulted in getting engaged with our LMS course in a very short time. Despite a few initial difficulties, the testing is complemented by students’ questions and tremendous feedback. It is only a matter of time before Zabai’s Life Skills course will come back again with nice new additional features, more enhancements and more improvements.